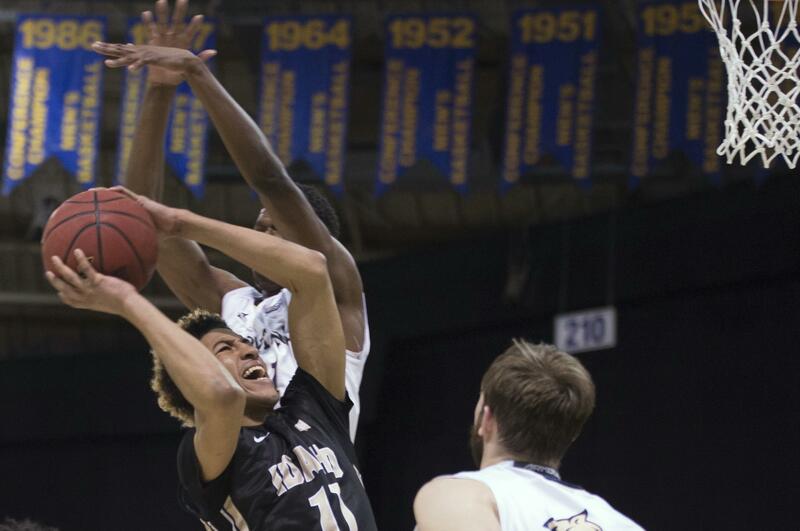 Fri., April 21, 2017, 8:11 p.m.
Idaho junior guard Victor Sanders has declared himself eligible for the 2017 NBA Draft, as announced by head coach Don Verlin and the team on Friday. Sanders will not be signing with an agent. Sanders had an exceptional junior campaign, leading the squad and finishing fourth in the Big Sky at 20.9 points per game. Sanders became just the 16th member of the Idaho 1,000-Point Club last season, and currently sits in 11th in program history with 1215 points. He is also currently in second in program history with 191 made 3-pointers. Sanders received a ton of recognition, both regionally and nationally, throughout the season. He was named Preseason All-Big Sky as well as First Team All-Big Sky for his work during the year. Sanders earned All-Tournament recognition in Reno and was also named to the NABC First Team All-District 6. Due to the NBA’s Collective Bargaining Agreement, underclassmen may declare themselves eligible for the Draft to test their potential draft stock. Underclassmen must withdraw from the Draft in accordance with the NBA Collective Bargaining Agreement to retain NCAA eligibility moving forward. Published: April 21, 2017, 8:11 p.m.